Japan is one of my favourite countries in the world for many reasons. The Japanese are known to be some of the most friendly and polite people in the world. Travelling Japan can sometimes be hard due to the language and alphabet but I can guarantee that there will always be people to help you along the way. Japanese food is also incredibly delicious, fresh and interesting. There are a lot of beautiful landscapes, villages and cities in Japan. I have asked some of the top travel bloggers their recommendations on the 32 best places to visit in Japan. Ine is named one of the top places to visit in Japan! Ine is a beautiful fishing village tucked away just north of Kyoto city. If you’re looking for a unique and off-the-beaten-track experience in Japan this is very much it. The area is far more rugged than you’ll usually see in Japan with dramatic tree-covered mountains and the lake which the residents live around. The most famous feature of this village is the funayas, a traditional kind of house that has been used since the 1700s. Most of the houses are wooden two-floor buildings, each with a garage to hold their boat. The main houses are often on the mountainside and the upper floor next to the water are usually reserved for guests or younger members of the family. While there you can tour the funayas on a boat which allows you to take some incredible shots and take a tour around the village with a local guide who will show you how they live and fish. There are also several local restaurants which serve some of the best fish dishes I’ve ever eaten, plus a range of traditional Japanese dishes. You can visit a 100-year-old sake brewery and pick up some excellent souvenirs. I never expected Hiroshima – a Japanese city made infamous during WWII – to be as absolutely beautiful as it was. I arrived via train, having taken the Shinkonsen from Osaka. It was clear that I was instantly enamoured with Motoyasu River, a body of water that beautifully runs through the town. It was an unexpected surprise to spot oyster restaurants and flower shops basking in the glow of the summer sun. From there I made my way south from where I was to the Hiroshima Peace Memorial Museum (a must-experience if you visit) and stopped along the way at the Children’s Peace Monument and Peace Memorial Park. Various metal monuments and pretty landscaping caught my eye, but not as much as the thousands of paper origami cranes that students and civilians place there in memory of those fallen decades ago, throughout the year. It was inspiring and very moving. Be sure to leave time to visit the Atomic Bomb Dome and Hiroshima Castle when you’re in Hiroshima as well! Often overshadowed by Tokyo, Osaka, Japan, is a foodies’ paradise, and one of the best places to visit in Japan. Located in the Kansai region of Japan, Osaka is only a two and a half hour high-speed rail journey from Tokyo. Referred to as “the Kitchen of Japan,” the residents of Osaka take their food very seriously. Top of that list is the most famous food in Osaka, Okonomiyaki. This thick Japanese pancake, is a speciality of Osaka, and can be considered the best food in Osaka. Served with okonomiyaki sauce, which is a sweet brown sauce, mayonnaise, dried green seaweed, and dried bonito, or dried tuna flakes, it can be found all over the Namba area, one of the top Osaka places of interest. After eating Okonomiyaki, head over to Dotonburi, the food walk along the river, an Osaka must see. The main tourist area of Osaka, Dotonburi is full of delicious eateries, nightclubs, and the famous Kuidaore Taro happy clown. Make sure to take a selfie with him. 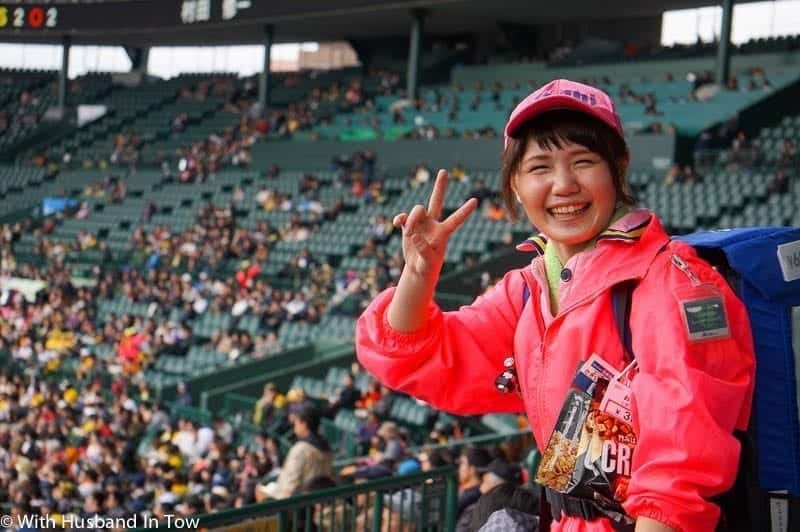 Once you’ve eaten everything in sight, schedule some time to take in a Hanshin Tigers baseball game. Japanese baseball games are unlike any other sporting event in the world and are not to be missed. As someone who lived in Suzuka for a few years, I’m biased, but I think it’s such an amazing town in Japan! It’s usually tourist-free, except for the Formula 1 season! With the Japanese F1 circuit, it sees a month of excitement and a high of tourism! But it’s actually the off-peak that’s lovely about this place. The F1 circuit is fun and you can drive an electric car around it or visit Motopia, the F1 theme park for a taste of it throughout the year. There are many small shops selling some incredible food (my favourite is a cake shop called Pinède and their delicious puff cream), many rice plantation, and so many stunning parks, shires, and temples! 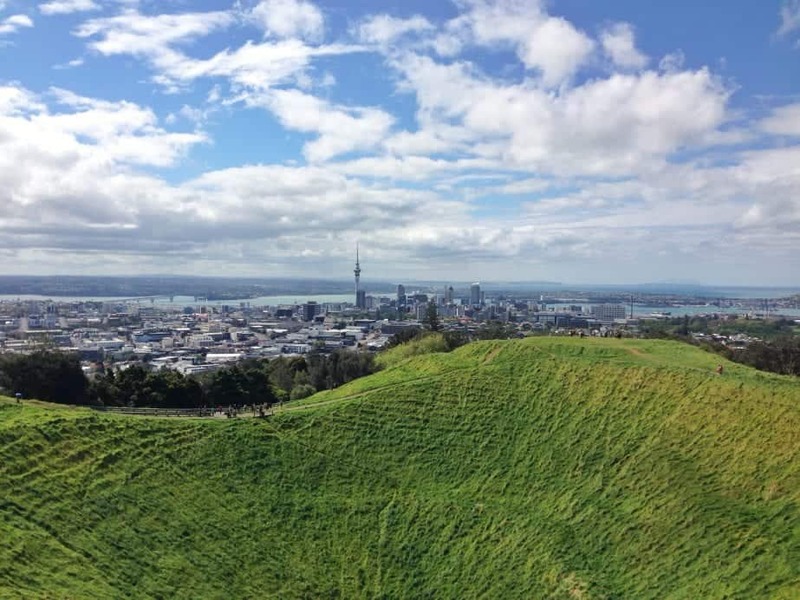 Pay a visit to the big Flower Park and ride their giant (but tame) slide or the Shonen no Mori for some lovely walks on nature. The cherry blossoms fill the parks when in the season (usually late March to early April), but I love when the trees become brownish-red and the air becomes a bit chillier. A trip to the Japanese Alps in winter is spectacular. The snowy vistas are breathtaking and the thermal springs (Japanese onsen) are just begging to be soaked in. No need to tell the Japanese macaques, though. 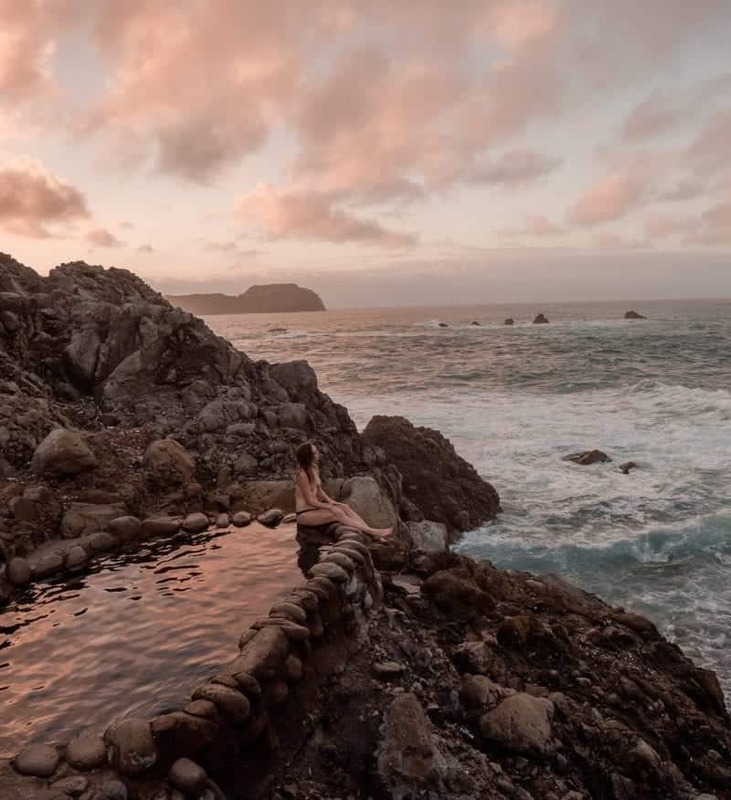 They’ve been snuggling up in the hot baths forever, and it’s one of the best places to visit in all of Japan. Just a short bus ride from Nagano station, the Jigokudani Monkey Park is a lovely spot to view the monkeys in their natural habitat enjoying the hot onsen. As you walk the forest path to the baths, you’ll see monkeys frolicking in the trees, and even sitting on the trail to greet you. One little one even brushed up against us as if wanting to play. It’s an experience like no other and one you’ll want to make time for. Tours are available from various spots around Nagano and the surrounding areas, but you can easily book public transportation yourself and ride the bus to the park and back. Just check the bus schedules from Nagano Station to find a time that works for you. Admission is a nominal fee and there is a small gift shop in the park as well. Hakone is a Japanese town that is, for good reason, a popular travel destination. Whether you are after beautiful scenery or a unique and quirky experience, Hakone has something to offer pretty much every traveller. One of Hakone’s biggest draws is the famous Mount Fuji. While it’s possible to climb to the summit on the summer months, in the winter, getting a view of the iconic mountain is possible from multiple places throughout Hakone. Lake Ashi is one of the most common spots to take in this beautiful peak. For an unforgettable and unique attraction, Yunessun Onsen is a must see. There are traditional style onsens, but the biggest drawcard is the quirky hot baths here. Red wine, sake, Coffee, maple syrup are infused with hot water (there are all separate pools) and guests can jump from one to another, relaxing in each. A word of warning, tattoos are strict here. You will be made to cover up all visible tattoos with waterproof tape/long sleeve clothing before being allowed to enter. 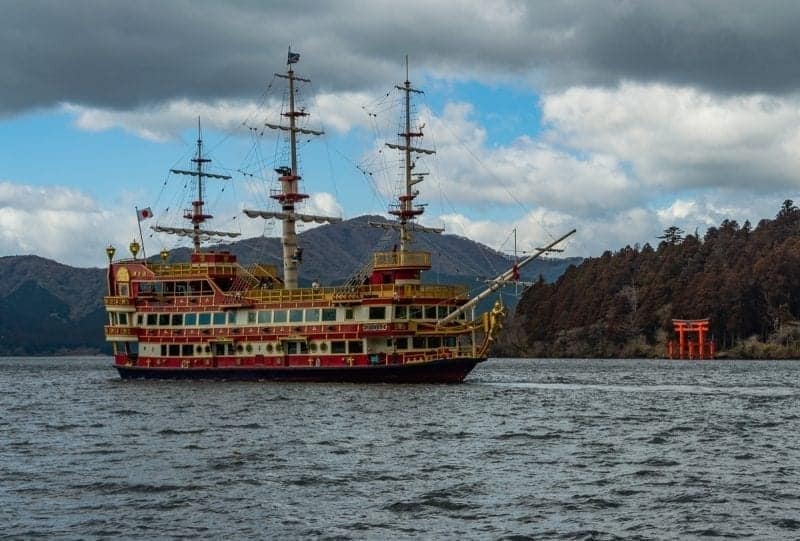 Hakone is a memorable travel destination in Japan for its beauty, but the quirky side to this great country is also present here. For most travellers flying in to Hokkaido, Hakodate is often considered too far from the island’s capital city of Sapporo. However, I dare say Hakodate is the most historically significant city in Hokkaido – especially since it was one of the first ports in Japan to open up to foreign trade after centuries of isolation. 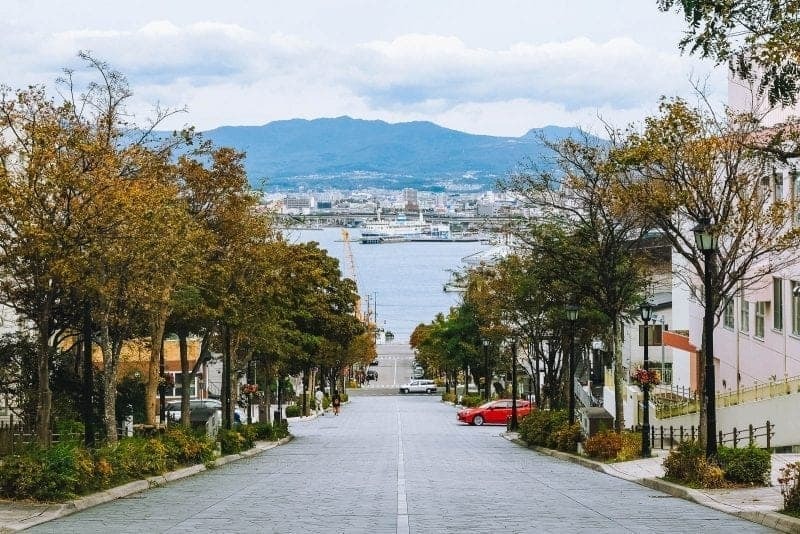 One of the best things to do in Hakodate, especially if you only have limited time here, is to visit Mount Hakodate as well as the neighborhood of Motomachi at the foot of the mountain. This area used to be where foreigners in Hakodate would stay, so it features plenty of European-style homes as well as the Old Public Hall of Hakodate Ward and several churches. Here, you can grab a smooth, creamy Hokkaido milk ice cream cone to enjoy while you stroll around. Taking the Mount Hakodate Ropeway up from Motomachi, you’ll enjoy a truly unique view of Hakodate stretching across the sea. This place is extremely popular for its sunset and night views, so make sure to come early and secure a good viewing spot. 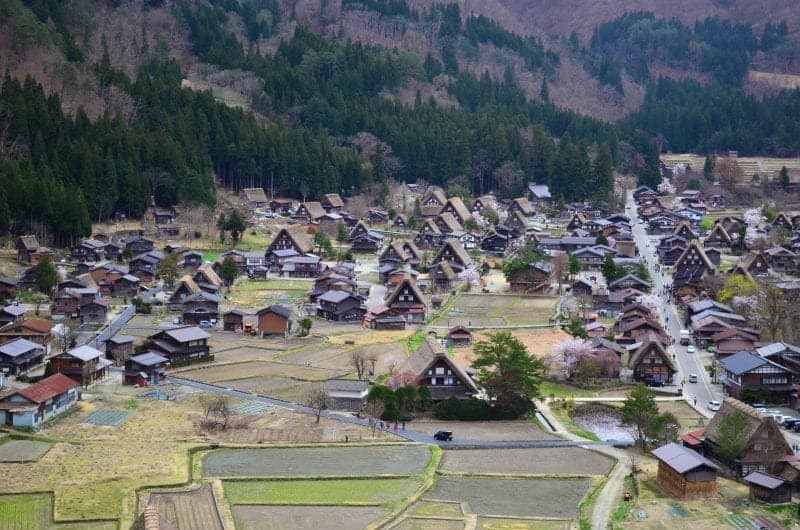 Shirakawa-go and its main village, Ogimachi, are an essential stop if you’re exploring the Japanese Alps. Located between Takayama and Kanazawa, it’s easy to get here by tour bus – but don’t let that put you off. The region’s thatched-roof farmhouses (gassho-zukuri) are pretty, endlessly Instagrammable and uniquely Japanese. Spend a night or two in one of the village’s ryokan, and you’ll see Shirakawa-go at its best. Once the daytrippers have gone, explore its empty streets and soak up the atmosphere. Sit on the steps of your ryokan and pretend it’s the 1800s. Eat some of the region’s incredible Hida beef (we liked the snack stalls along the main street, and Shiraogi for affordable food and quick service). Check out the onsen on the edge of town, or get cultural at one of the traditional-homes-turned-museums. Finally, head up to the lookout point (Shiroyama Tenbodai) for beautiful views – especially on a misty early morning. This charming castle town located in Nagano Prefecture is often overlooked by travellers, but offers many hidden charms. Nestled at the foot of the Japanese Alps, Matsumoto deserves a couple of nights in its own right; it also makes a great base to explore nearby spectacular mountain scenery in Kamikochi and Norikura. Matsumoto is accessible by limited express train or shinkansen from Tokyo; the one-way journey takes about 2.5 hours. Traveling by bus takes slightly longer but is much less expensive. 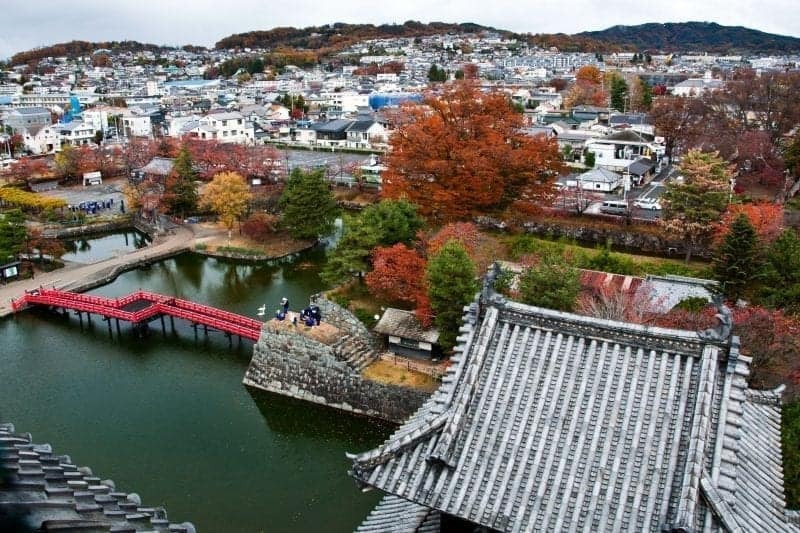 Top sights in Matsumoto include Matsumotojo, considered one of Japan’s top three castles. This striking 16th-century landmark is nicknamed Crow Castle for its distinctive black walls. Famed artist Yayoi Kusama hails from Matsumoto; fan shouldn’t miss the Matsumoto City Museum of Art, which features her artwork. 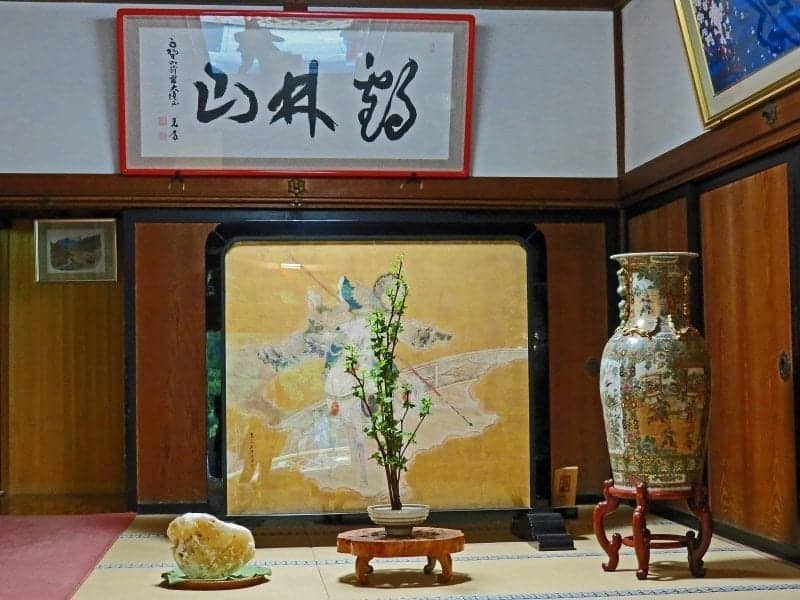 Other attractions include the Kaichi School Museum, a beautiful Meiji Period building that served as one of Japan’s first schools, and historic Nakamachi Street, lined with traditional earthen-walled storehouses called kura that now house shops, cafes, and restaurants. Don’t leave town without sampling Matsumoto soba, famous for its delicate taste. Kobe is a narrow city wedged between the sea and the mountains, so nature is never far away. You can take the Shin-Kobe Ropeway up one end of Rokko Mountain, past Nunobiki Waterfall (one of Japan’s three holiest waterfalls) to the Nunobiki Herb Garden. Or take a bus, train or cable car/ ropeway combination at the other end of Rokko Mountain to Arima Onsen, where you can soak away your cares in hot spring water. Choose from kinsen gold water (brown from iron) and ginsen silver water (coloured by radium and carbonate). In the centre of Kobe, visit the Ikuta Shrine and leave a prayer on paper. The central Sannomiya area also has fun restaurants with crazy facades, karaoke boxes to sing in, and great shopping. For even more shopping, head to Motomachi, a long covered arcade crammed with great stores. Kobe was at the centre of the Great Hanshin Earthquake in 1995, and the Kobe Earthquake Memorial Museum is a grim but fascinating reminder of what happened. For something lighter, sample sake at one of several sake breweries in the Nada district. And, of course, no visit to Kobe would be complete without a meal of delicious, melt-in-your-mouth, marbled Kobe beef! Niijima is a laid-back, quiet island less than an hour’s flight away from Tokyo. Despite its beauty, the island remains a secret to the outside world. 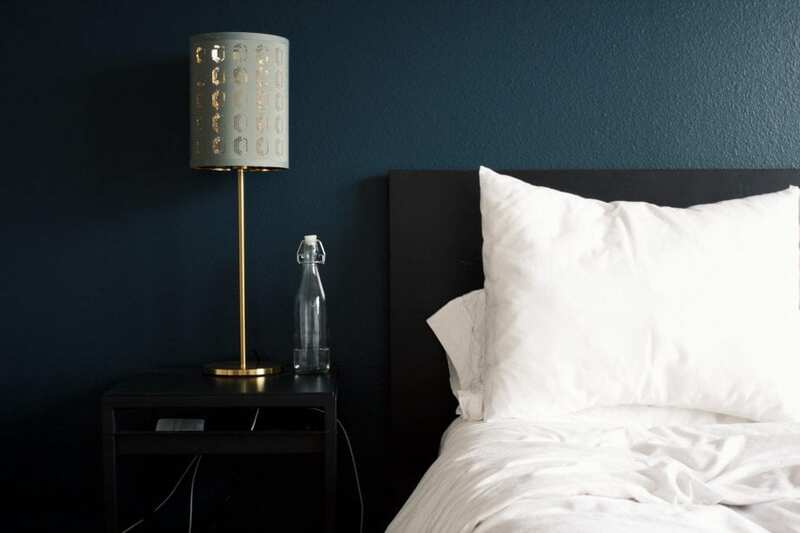 The water color looks like the tropics, with light blue merging into a deep sapphire. The temperature is pleasing for us Goldilocks types: not too warm and not too cold. Even though this is the surfer’s island there are plenty of ways without crowds on them. It’s the Holy Grail for those who hunt waves! If you are not into surfing, you can rent a bicycle and ride around the island, visit the Shinto shrine, dine at local restaurants, or just spend the day relaxing on the beach. The highlight of my trip on Niijima Island though has got to be the free, 24/7 outdoor onsen overlooking the ocean, as pictured above. To get to Niijima from Tokyo, you can either fly or take the ferry. It makes the perfect island for a short getaway from the bustling city. The temple town of Koyasan, the centre of Shingon Buddhism, is a remote place in the mountains. The village has originated around the religion’s headquarters, the Garan temple complex. The city now counts at least 50 temples and attracts many tourists and pilgrims. Pilgrims visit the town as it is the end-point of the Shikoku pilgrimage. Tourists are drawn here by the popularity of the temple stays, an overnight stay in a temple where you enjoy a veggie meal and take part in the morning prayers. A trip to Koyasan is a true expedition. It takes 2 train rides, a trip on a funicular and finally a bus ride to reach the mountain village from Kyoto. The second train ride was very scenic and as our train squeaked through the bends around the mountains it reminded me of my trips to Switzerland as a child. The highlight of our visit to Koyasan was the Okunoin cemetery. An enormous cemetery and also the site of the Okunoin Temple complex where Kobo Daishi, the founder of Shingon Buddhism, is enshrined. 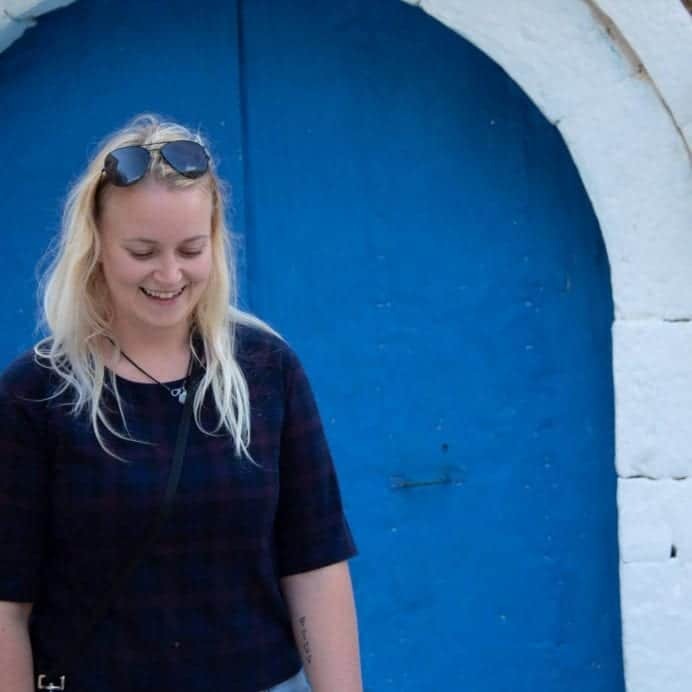 We don’t usually visit graveyards as a tourist but this place was really something special. With many of its Shrines, altars, and gravestones overgrown, this place radiates a special atmosphere. Considered one of the most scenic places in Japan, Miyajima, a small island outside of Hiroshima is a breathtaking place to behold. 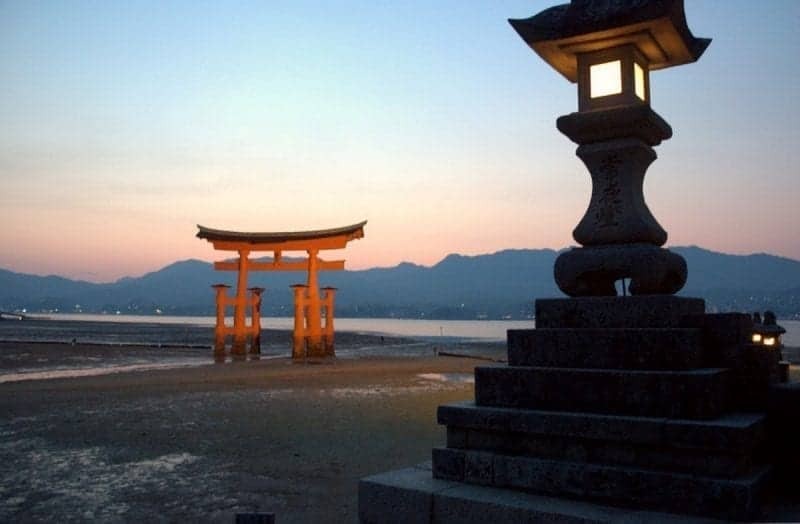 From the beautiful mountain on the island, to the floating torii gate at Itsukushima Shrine, there is something truly magical about this island. 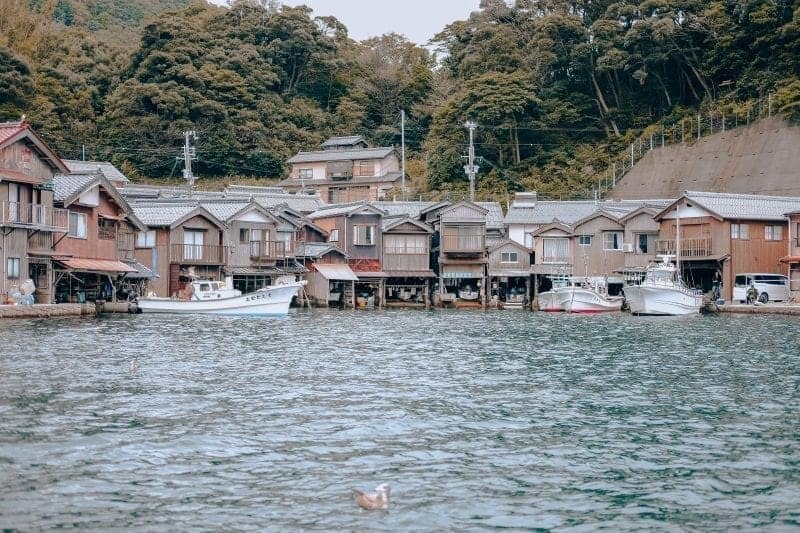 The island was historically known as one of the three most scenic places in Japan (along with Matsushima and Amanohashidate) and it is easy to see why. Most visitors to the island, come as only a day tripper, quickly taking in the sites and shops and then leaving on the last ferry. For those who want to really explore the magic of this place, spending the night in one of the local ryokans when all the tourists have left really allows you to enjoy the quietness of nature. If you have the time, be sure to try to see the torii gate both at high (when it is floating) and low tide (when you can walk out to it) as it showcases two very different scenes and atmospheres. Onomichi is a small town in Hiroshima Prefecture, just an hour west of Hiroshima. The little hillside port town is famous for its temples, cats and the world-renowned bikeway. While you are in Onomichi, visit all 25 Buddhist temples along Temple Walk, a 2.5km narrow and hilly path that zigzags through the town. As you follow the path, it will lead you to the Cat Alley were many friendly cats would approach you. Continue uphill, and you will see Senko-ji Temple perched on the edge of the mountain. And finally, you will reach Senko-ji Park at the top. The park has the best panoramic view of Onomichi from above. It is also an excellent spot for cherry blossom viewing during the spring. And many travellers visit Onomichi because of Shimanami Kaido, a 60km bike route connecting six islands in the Seto Inland Sea. The road starts in Onomichi and ends in Imabari. 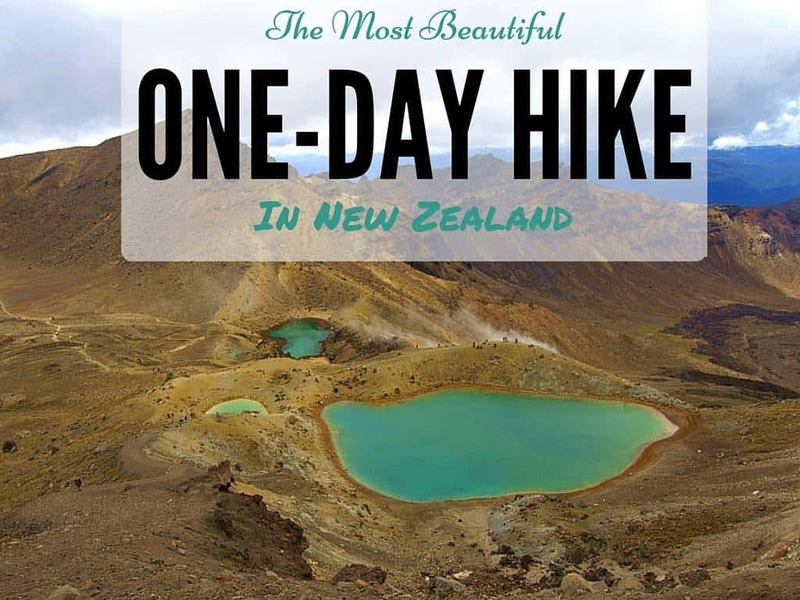 It will take about eight to ten hours to complete the entire route, or you can take many breaks in between and enjoy the scenery along the way. Don’t worry about bringing your own bike; there are many bike rentals in Onomichi. 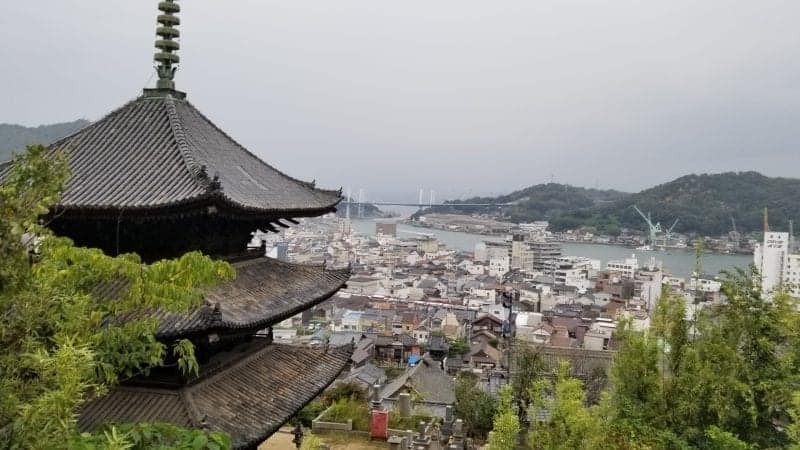 If you want to get off the beaten path in Japan, explore Onomichi and you’d be surprised how lovely the little town is! Kanazawa is a quaint little town in Ishikawa Prefecture that you should add to your itinerary for a trip to Japan. During the Edo Period, Kanazawa was the seat of the Maeda Clan, the second most powerful samurai clan in Japan. Even today the samurai are fondly remembered at Nagamachi, the former samurai district. 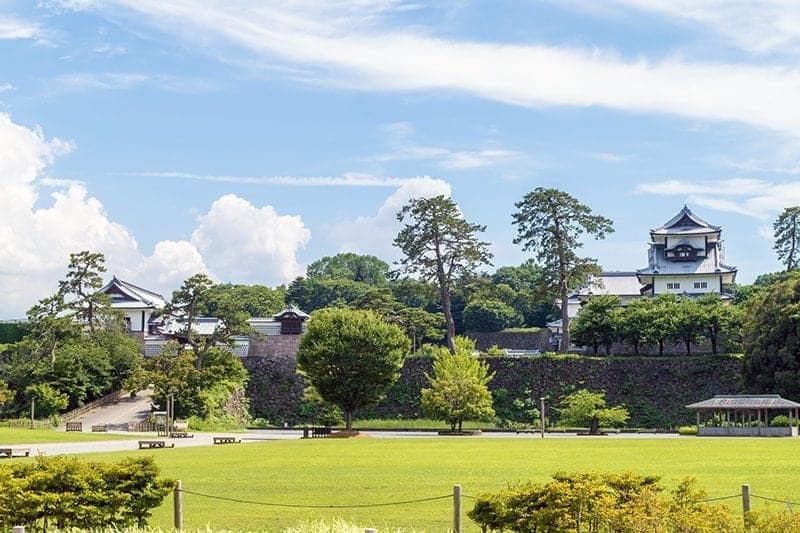 One of the main attractions is the Nomura-ke, a restored samurai house that shows how the Japanese warriors used to live when they were prosperous. 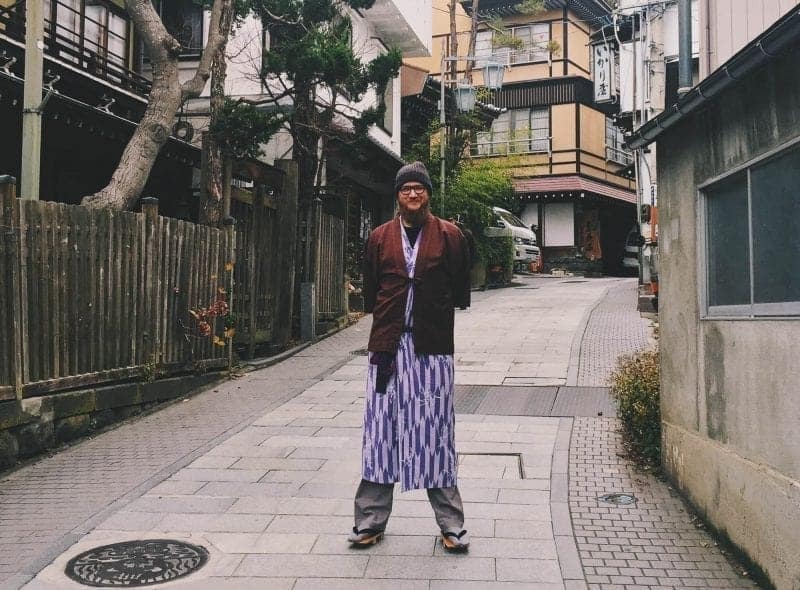 Another interesting district that you should visit is Higashi Chaya District: while Kyoto is usually crowded, Kanazawa is off the beaten path so the geisha areas are always pretty quiet. At Higashi Chaya it feels like time has stopped. The streets are lined with ancient teahouses and it’s not uncommon to meet maiko or geisha going on errands! Kanazawa Castle is slowly being reconstructed, as it burnt down several times over the centuries. In the meanwhile you can visit its gardens for free: they are a pretty popular “hanami” spot in spring! From the castle you can walk to Kenroku-en gardens, the most celebrated landscape garden in Japan. Admission will cost you 310 yen and inside you will also find a lovely teahouse. Just outside Katsurazaka Gate, restaurants and shops line the pedestrian way: make sure you eat Kanazawa’s most celebrated ice cream in this area! It is covered with gold leaf! Nara is one of the most unique and memorable places to visit in Japan. The city was the ancient capital of Japan, and features some of the most iconic temples and shrines. 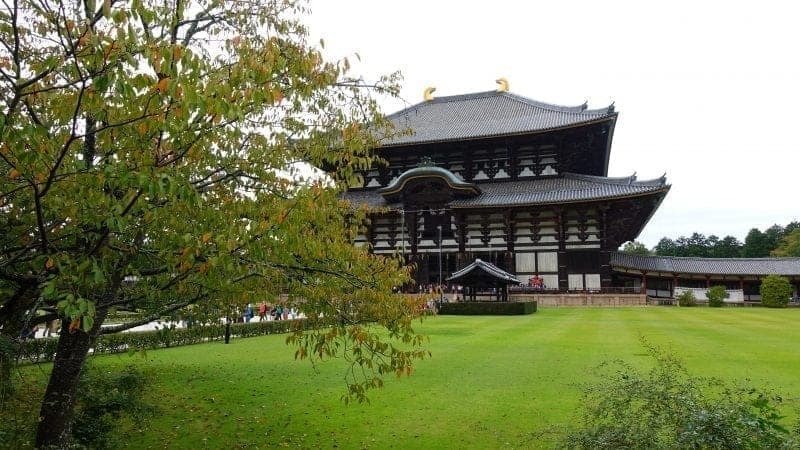 Nara is also home to the largest statue of Buddha in the country. However, the city’s biggest claim to fame isn’t Buddha or its many temples. One of the main reasons people visit Nara is to meet the city’s resident deer. In and around Nara Park, wild deer roam the streets and walkways right alongside tourists and locals. The deer, which have called the area home for centuries, have become comfortable around people, and will approach you, let you pet them or feed them, and at times will even curl up and snuggle next to you. The Japanese once called these peaceful animals “messengers of God”, and the deer in Nara are protected and considered a “natural monument” in Japan. The park is open to the public and free to visit. Nara is an easy day trip from either Osaka or Kyoto. Navigating the city by public transportation is also efficient and painless. 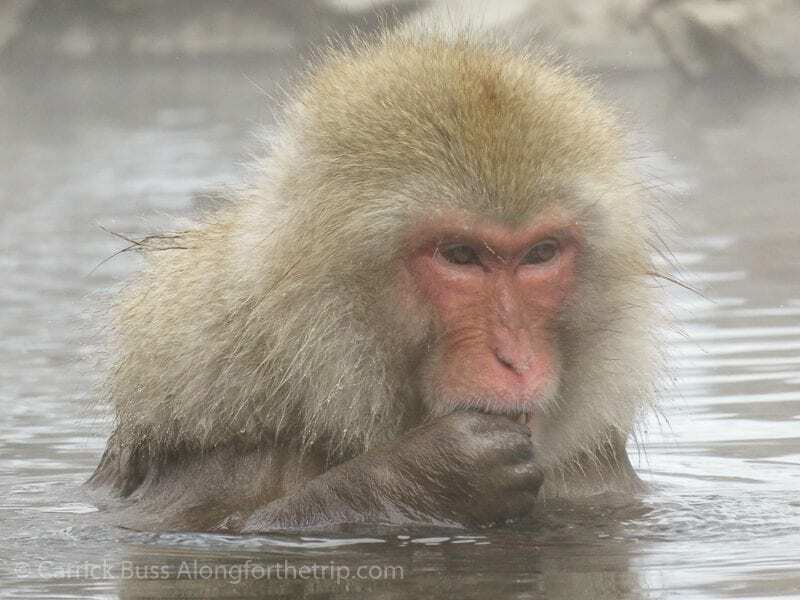 If you’re going to see the snow monkeys at Jigokudani Monkey Park then it’s also worth visiting Shibu Onsen. It’s a little spa town about 15 minutes away from the snow monkey park, which makes it an ideal place to stay if you’re in the area. The town is home to nine onsens, and it’s said to bring good luck if you visit all of them. Normally, only one onsen is open to the public, but if you stay in one of the town’s ryokans, you get access to a key, which opens the other eight. Our hotel provided clogs and robes and we had an incredible evening, walking around the town in the snow and visiting all nine onsens. Each one has a stam, which you can print on a little towel provided by the ryokan. The tradition is to leave it as an offering at the town’s temple, but you can also keep it as a souvenir. While in Shibu Onsen, we stayed in a traditional ryokan called Sakarya. If you have been in travelling around Tokyo, and you need a little break from the big city chaos, you need to head to Kamakura. Quiet and small, Kamakura dates back to Samurai times and is world famous for its temples. The most popular thing to do is visit the Big Buddha at the Kotokuin Temple, but there are many more interesting ones to see as well. One temple has a small bamboo grove, one you wash your money to bring good fortune. Kamakura has more than temples, too. The beach, only ten minutes from downtown, is well-known for its waves and you can always see surfers and windsurfers riding them all year round. If you go to the beach at sunset, you might even get a silhouetted view of Mt. Fuji. 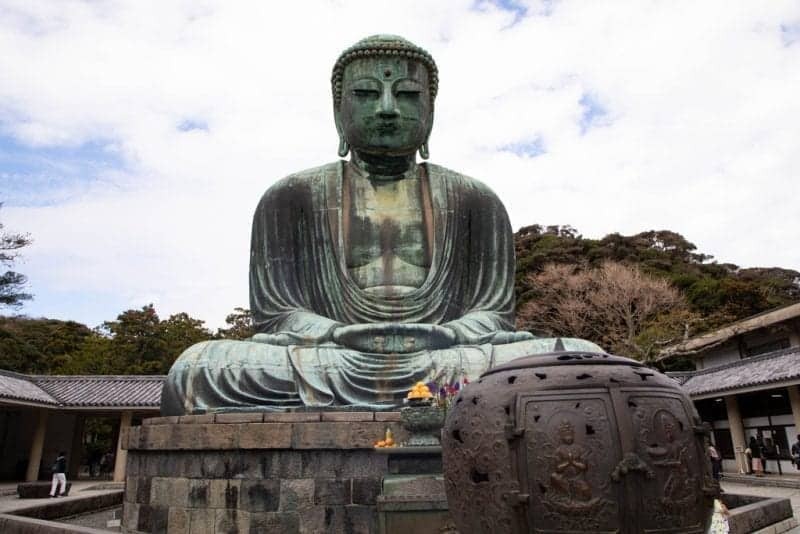 This small city also has great shopping, delicious food, and plenty of restaurants, so next time you are in need of a breather, take the train to Kamakura! Noboribetsu (登別温泉) is a town on Hokkaido, the northernmost island of Japan. I visited in April 2016 and had slightly underestimated how cold it would still be on Hokkaido. That’s why I was thrilled to visit Noboribetsu, as this is Hokkaido’s most famous hot spring resort. Due to the volcanic activity in nearby Jigokudani (Hell Valley) there are several hot spring baths in Noboribetsu, perfect defrost frozen limbs after a cold day of exploration. My recommendation is to visit Jigokudani first, before trying out the hot springs in Noboribetsu town. Especially Oyunuma Pond is very worthwhile! This lake in the crater of Mt. 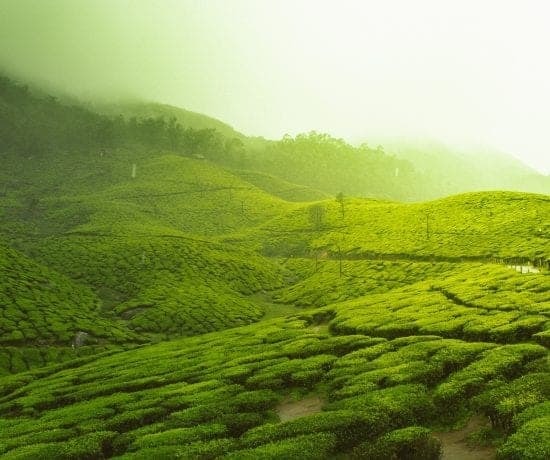 Kuttara has a surface temperature of 50 degrees Celsius (at the bottom it’s an incredible 130 degrees!). The result is a steaming and bubbling lake, quite a spectacular sight! Noboribetsu itself is a cute little town, with lots of restaurants where you can eat delicious food, such as a steaming bowl of Hokkaido ramen or freshly made Okonomiyaki. The annual Sapporo Snow Festival takes place in February. 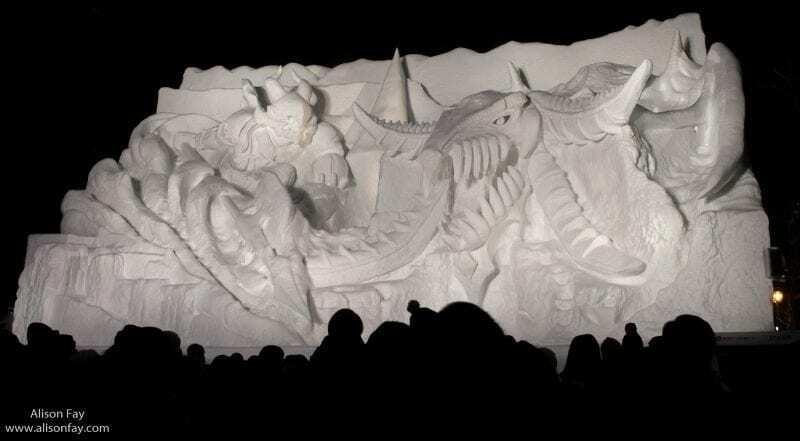 The snow festival feature’s hundreds of different snow, ice sculptures, live music and sports events, and other attractions. 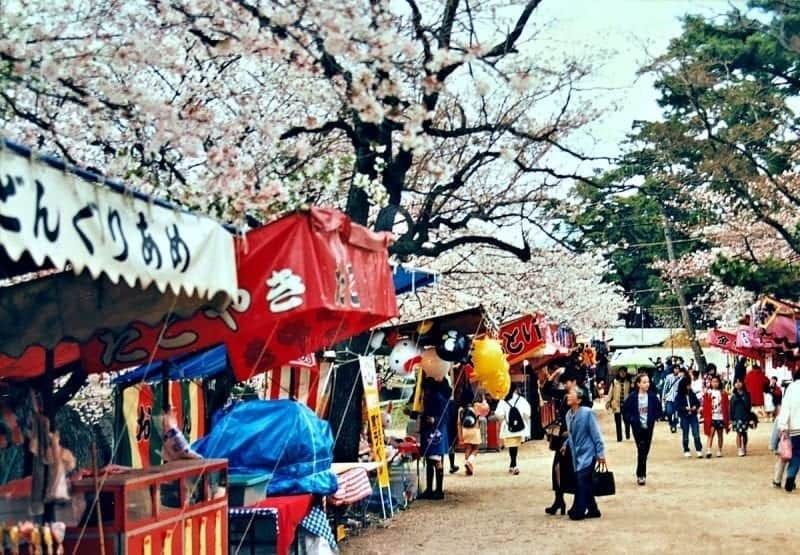 The festivals spread over multiple sites, the main being Odori park which contains giant sculpture’s created by different groups, brands and even the Japanese army. Previous years, included sculptures of Astro Boy and Star Wars characters. While at Odori Park, it’s worth going up the TV Tower to get a view over there sculpture’s and see across Sapporo. The Tsudome site features snow slides, rafting and some kid-friendly attractions like slides and VR experiences. There are also indoor attractions, offering you a chance to get out of the cold. The Suskuino site feature’s ice sculpture’s, and you can watch some being made. During the festival, make sure to wear good gripping shoes as there’s a lot of ice to walk over. If you do find yourself getting cold, you can pick up some disposable body warmers from most convenience stores, known as kairo, that last for up to 12 hours. 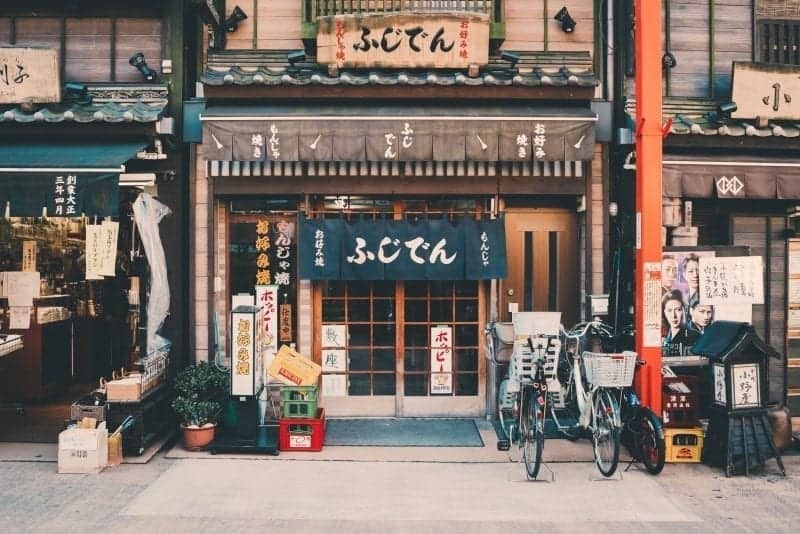 If you find yourself getting hungry, there is plenty of street food available at all three sites, such as takoyaki, okonomiyaki, Japanese wine, and of course, Sapporo beer. One of my favourite hikes in Japan is just a short ride from downtown Kyoto. The path between Kibune and Kurama is neither long nor strenuous, but it provides great views and ends at a nice outdoor onsen. Take the Eizan Main line from Kyoto to Kibuneguchi Station and follow the main road to the trailhead. If you’re hungry, try some of the kawadoko-style dining options. These are places that serve soba and other cuisine on wooden platforms just above the river (usually summertime only). 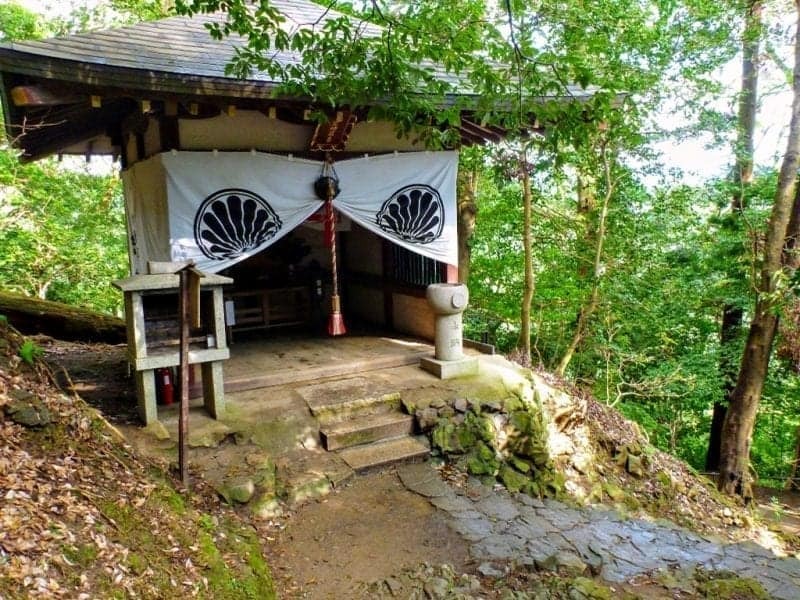 After a feed and a visit to the local shrine, walk to the trailhead for the four-kilometre climb over the hill to Kurama. Aside from some tree roots and a few steep stone steps, the trail isn’t difficult for the moderately fit traveller, including kids. Near the top, take a break at the Kurama temple (300 yen entry). Then descend the hill and visit Kurama Onsen (Hot Springs). After a soak, it’s time to walk ten minutes down the road to Kurama Station and head back to town. An ideal day trip from Kyoto. Japan is home to some 500 ski resorts but one of the biggest and most popular is Niseko. Located in Hokkaido, in the north of the country, this resort gets some of the most snow receiving an amazing 15m of the white stuff every year. 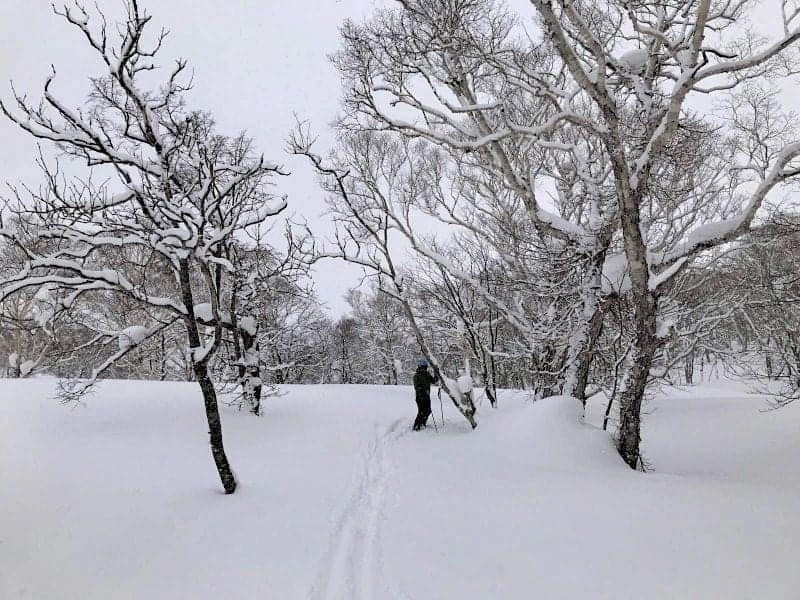 If you’re looking for days of deep, light, powdery snow then Niseko is the place to come. Skiing in Japan is, not surprisingly, a little different to skiing in Europe or America. Slopes are wide with only the occasional forest outcrop meaning skiing in whiteouts can be a challenge and the mountains are very controlled, if a skier crosses a boundary rope they will have their lift pass confiscated. One of the best things about Niseko, however, is that after a day on skis you can spend the evening relaxing in an onsen. These local baths are filled with piping hot natural spring water and are rich in minerals – the perfect antidote to tired ski legs. And of course, then there’s the food: forget raclette and fondue and feast on sashimi, fresh oysters, clam soup and mouth-watering wagyu beef instead. Nikko is a must visit place for anyone travelling to Japan. Locals capture it perfectly in the well-known Japanese saying “Never say ‘kekko’ (beautiful) until you’ve seen Nikko”. Loaded with significant history and beauty, Nikko is a small mountain town that is a popular destination for viewing cherry blossoms. In late April, these pink flowered trees dot the landscape. It’s beautiful. Nikko has several significant temples and shrines that are protected as UNESCO World Heritage Site. These sites, such as Toshogu and Futarasan Shrines, are located in a cluster along the Nikko mountainside. They’re not too far from the Tamozawa Imperial Villa and the Sinkyo Bridge. If you like to hike, you can walk to these temples from Nikko’s town centre in less than an hour. In addition to these, there are additional hiking trails to numerous ancient tombs, temples, and shrines. 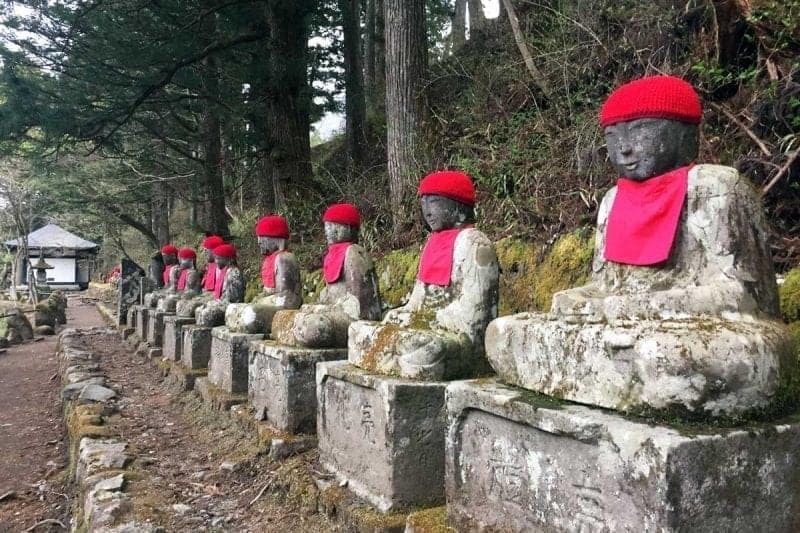 Don’t miss the mysterious Kanmangafuchi Abyss, and the Jizo statues by the Nikko Botanical Garden. Nikko is definitely a very special place in Japan. Hakuba is a small village located in the heart of the breathtaking Northern Japanese Alps, near the Nagano Prefecture. Hakuba is one of Japan’s top winter resort areas. The area offers abundant snow and excellent powder conditions, and as a result, has some of the best winter sports action in Japan. 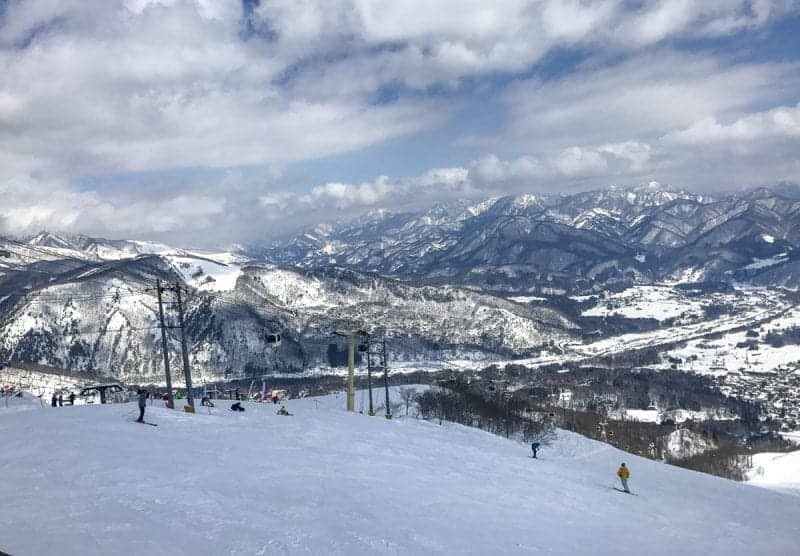 Hakuba hosted the 1998 winter Olympic games, gaining worldwide recognition as a premier ski area. Some of the Olympic facilities are still in use today, such as the Hakuba ski jumping stadium. Hakuba is comprised of a number of ski resorts stretched across a broad valley. There is a variety of alpine terrain that can accommodate anyone from beginner to expert. Just three hours away from downtown Tokyo by train, Hakuba can be done as a day trip but it is recommended to stay at least one night. The area is absolutely stunning with the Japanese Alps as the backdrop. Aside from skiing and snowboarding, there are winter trails to explore and hot springs (onsens) available in town to relax in after a day in the snow. Kyoto is without a doubt one of the best places to visit in Japan. If you’re looking for a taste of old world traditional Japan then Kyoto is an incredible city worth a visit. Full of Buddhist temples (over 1600! ), Shinto shrines, traditional Japanese homes and gardens, you will not run out of things to see and do in Kyoto. Make sure to visit the iconic Kinkakuji Temple (official name is Rokuon-ji) to enjoy its surrounding beautiful gardens and snap a photo of its golden reflection shining across the pond. 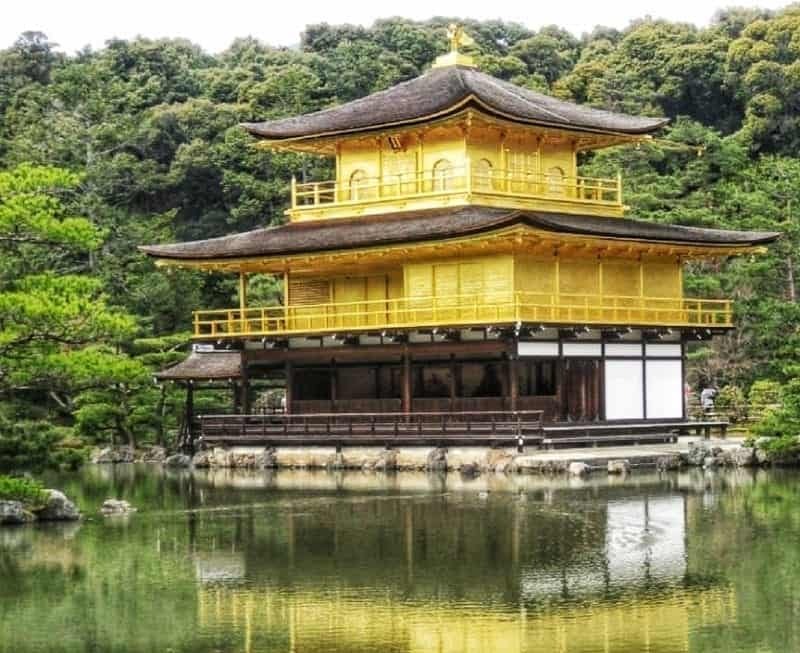 Also called the Golden Pavilion because its top two floors are covered in gold leaf, it is one of the Historic Monuments of Ancient Kyoto which are UNESCO World Heritage Sites. 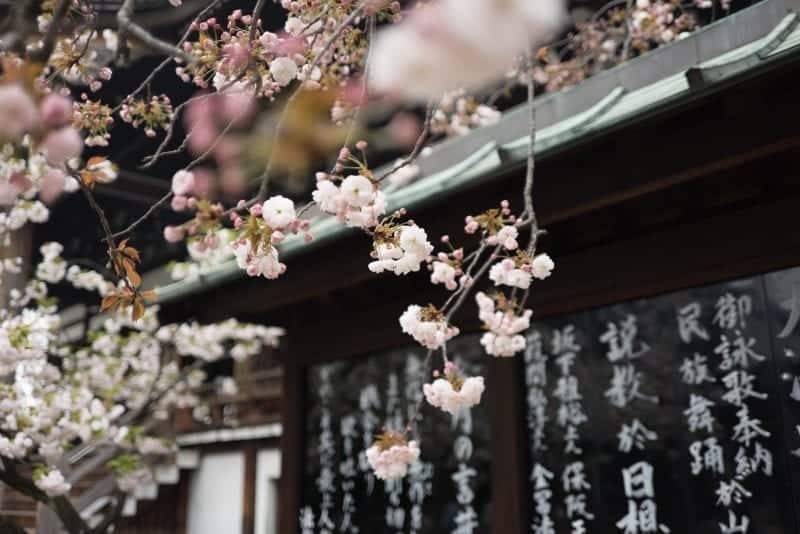 Other things to do in Kyoto include staying at a ryokan, catching a glimpse of an elusive geisha in the Gion district, hiking through the torii gates of Fushimi Inari Shrine and making a day trip to the famous Arashiyama Bamboo Grove. Takayama (高山) is a small city in the Hida region of Gifu Prefecture. There are a number of places in Japan with this name so to differentiate this area it is call Hida-Takayama. Takayama is in the Japanese Alps, a mountainous area north of Tokyo and can be reached by train from Nagoya. This is scenic route winding through woodlands and into the mountains. The best thing to do in Takayama is to walk and explore. Nothing is too far away and this way you can see the city and its history. The city is famous for its Old Town. The narrow streets are filled with traditional wooden buildings and the traditional carpenters are still working in the town, a remnant of the past traditions. Takayama Jinya is the old government office, again made of wood with beautiful carvings and details. From the Old Town there is Higashiyama Walk which passes the old castle and a number of small temples. All beautiful in their own way. 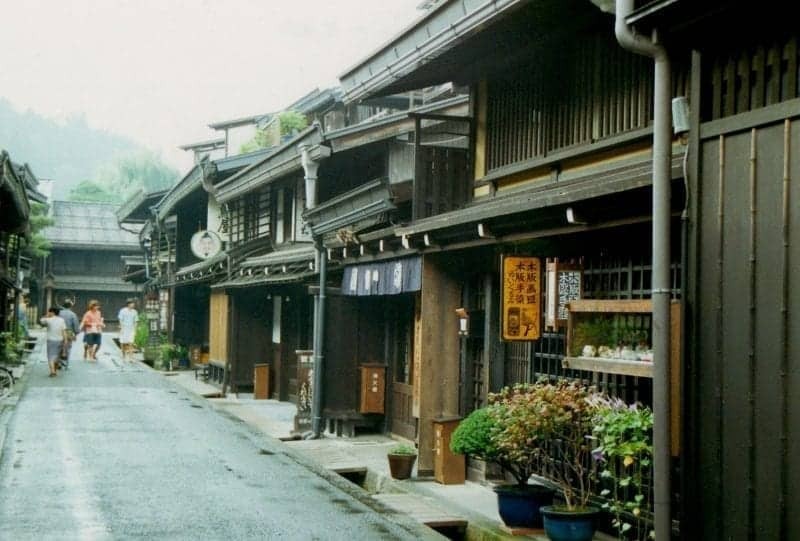 With all of this history the Hida Fold Village is also worth exploring to see inside the buildings and how the town has grown and developed over the years. Takayama is a hidden city high in the mountains and does not feel like a city while you are exploring. If you want to see Mt Fuji while in Japan, Kawaguchiko is the best place to see Fuji up close. Lake Kawaguchiko is one of the Fuji five lakes. Kawaguchiko is easily accessible from Tokyo, and can be done as a day trip or worth spending a few days in. Kawaguchiko has tons of things to do. The main one is obviously to see Mt Fuji. You can see Mt Fuji from Kawaguchiko lake, or you can go to Chuerito Pagoda, for one of the most iconic views of Mt Fuji with the pagoda. Spend some time biking around the lake, visit a traditional onsen, or try some sake at the local sake brewery. Kawaguchiko even has an amusement park and shopping outlets if you’re sick of sightseeing. Kawaguchiko can be very popular due to the proximity of Fuji but its definitely a must while in Japan. Two well-known ski towns in Japan are Hakuba, and Niseko. A visit there will be met with crowds of tourist from Australia. However, if you are looking for a more exclusive resort then the best place to check out is Aomori. Aomori is the most northern part of the main island of Japan and has previously been labelled one of the top snowiest cities in the world. 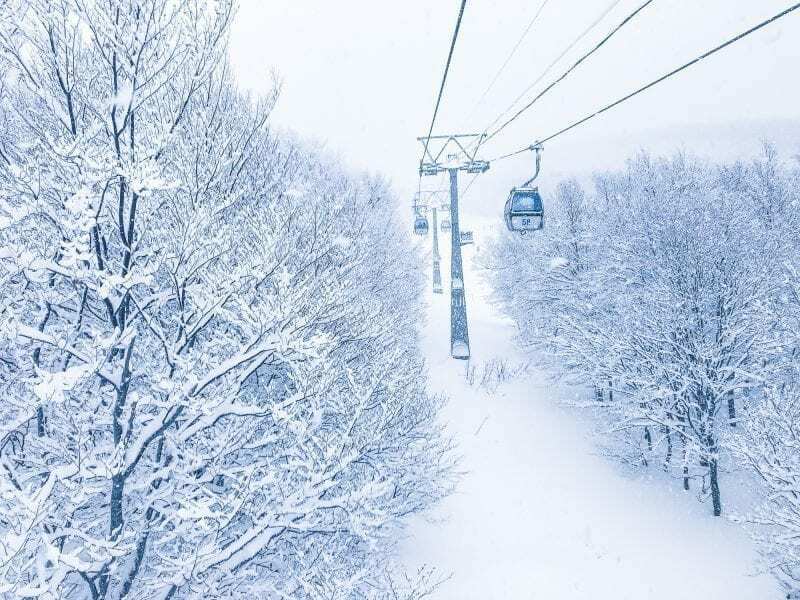 Aomori Spring Resort is a ski resort located on the Hokkado Mountains. This resort is mainly accessed by locals, and the resort only has one hotel, therefore, the runs are typically only occupied by those staying at the hotel. The resort is small but offers ski in and ski out experience. The resort is made up of a variety of 16 runs, but has numerous lifts to manage the terrain and for a mere ¥2,000! Additionally, skiers can enjoy night skiing, or sign up for backcountry tours on Mount Iwaki to experience the fresh pow. Other winter activities in the area include snowshoeing. Or taking a tour to go visit the famous Snow Corridor, which is a section of road that is cleared of snow which at peak season can reach over 20 feet tall. Yokohama is Japan’s second largest city. With only a half an hour train ride from Tokyo, this is the perfect city to explore. Yokohama has a vast range of different things to see and do. One of my favourite parts of Yokohama is walking along the waterfront. There is a beautiful path that goes alongside the ocean and through Yamashita Park. 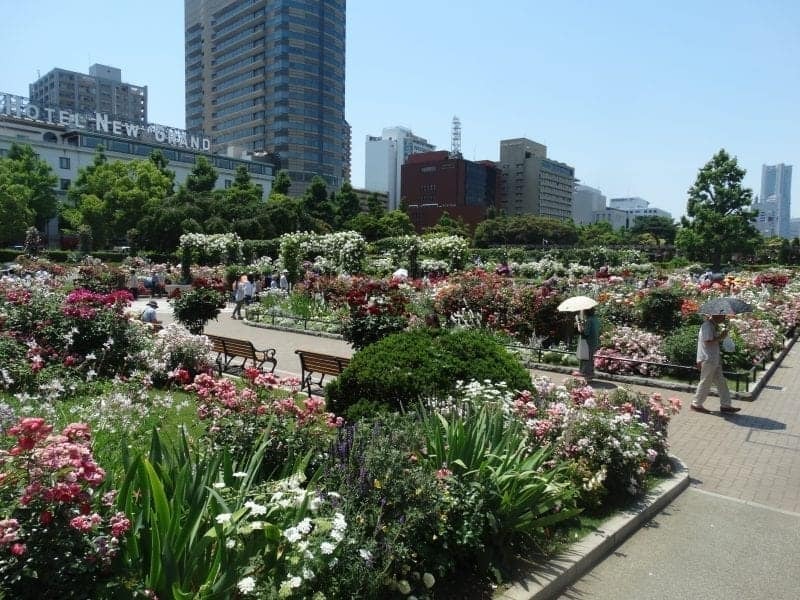 This Park has a rose garden with over 400 flowers which includes 60 different types of roses! Keep going through the Park and past the Red Brick Warehouses up to the Cup Noodles Museum. The Museum that lets you make your own cup of noodles! These views won’t disappoint and it will show you what Yokohama really has to offer. For the shoppers out there, window shopping at Motomachi is a must. The street of Motomatchi was originally designed for foreigners that lived in Yokohama to go shopping. While it has lost its original Western shops, it still has a very Western feel about it. 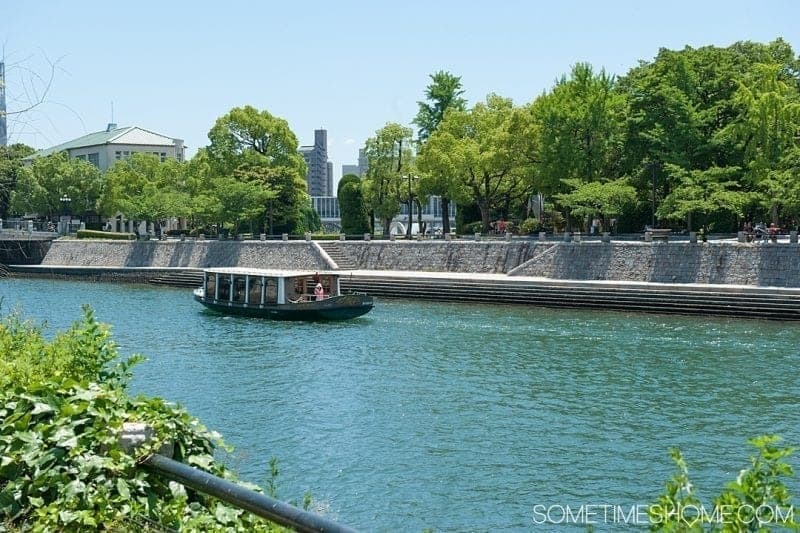 Some other places that are worth checking out are the Sankeien Garden, boat cruise, Shin-Yokohama Ramen Museum and Yokohama Stadium. Beppu is the home of Japanese onsen and tends to be frequented more by local tourists than international ones. It’s a quirky, unusual town that produces more hot spring water than any other Japanese town. 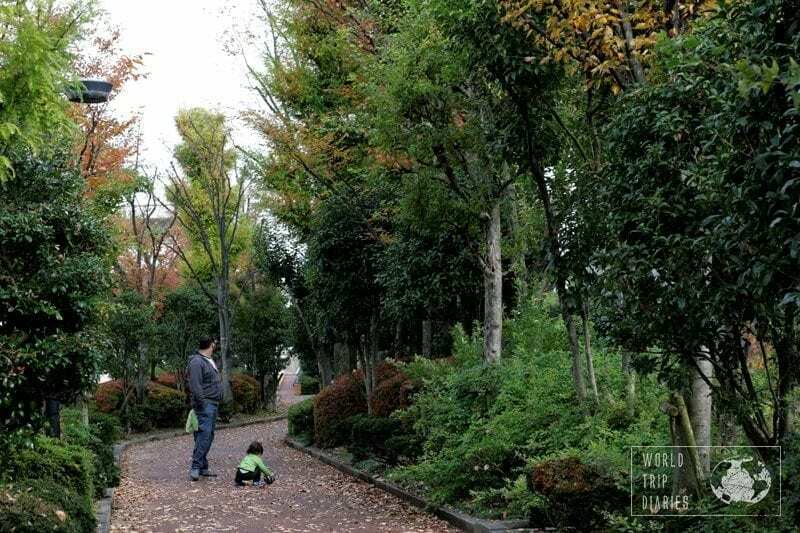 Located in the Oita Prefecture, this cute little village is located towards the south of Japan and is easily accessible around an hour from Oita airport. 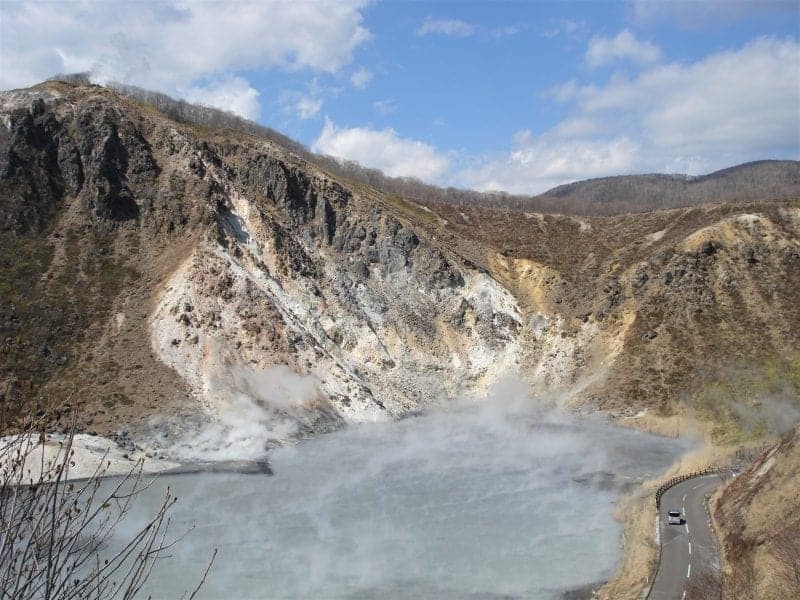 The highlight of visiting Beppu, other than hopping into an onsen which is an absolute must do for any visitors to the area and to Japan in general, is undoubtedly the amazing Jigoku Hells of Beppu which are a collection of hot springs and geothermal pools (definitely not for bathing in). Some are full of bubbling grey mud, others are an aqua colour that almost looks radioactive; some are full of red mud and clay and one is a geyser that shoots up water into the air. A few of the hells are close together and a couple of others are easily accessible with a short bus trip. To see all the hells, it’s wise to allow around 3-4 hours depending on how long you want to spend watching each one. 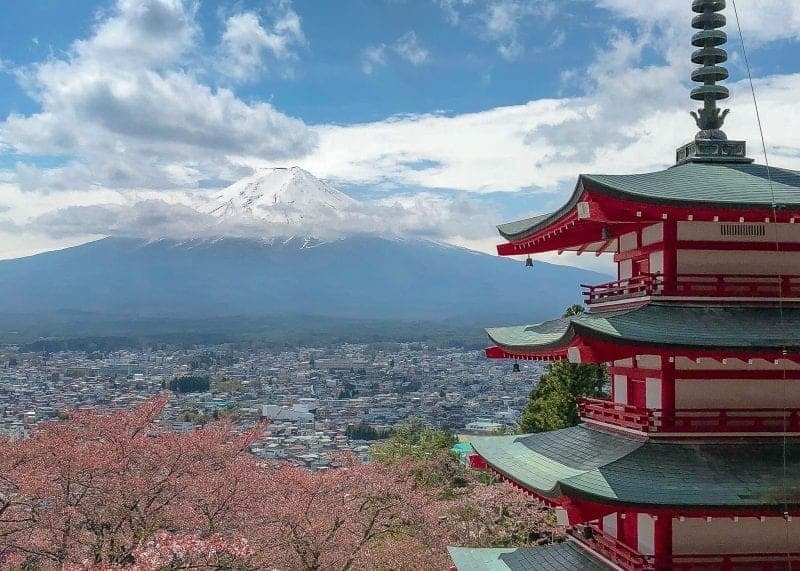 When it comes to best places to visit in Japan, you definitely can’t forget about Fujiyoshida – a city located in the Yamanashi Prefecture known for its spectacular views of the famous Fuji-san. 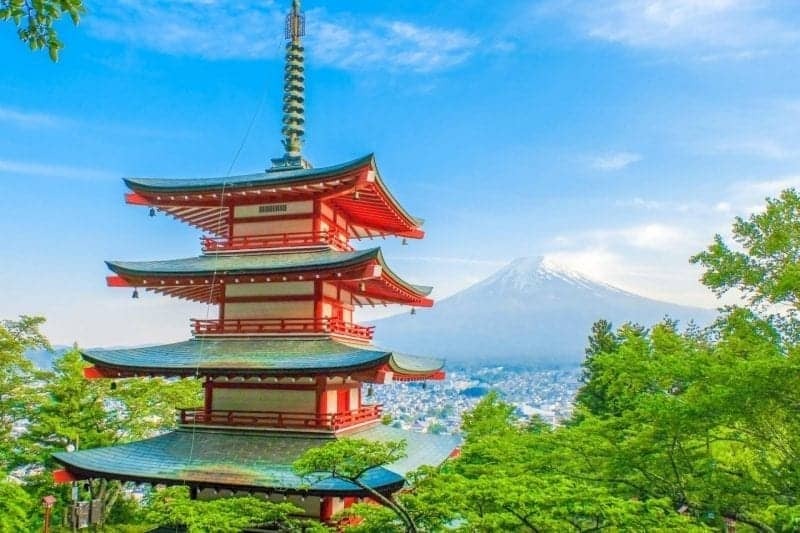 If you’re coming to Japan you will most likely visit Tokyo – a buzzing metropolis with incredible food and an abundance of things to do. Make sure on your visit to Japan you spend some time exploring the neighbourhoods in Japan. My favourite neighbourhoods are Asakusa and Harajuku. Asakusa is home to the oldest temples in Tokyo called Senso-Ji temple. Also, make sure you Nakamise-dori. It is a street lined up with shops and delicious food leading up to the temple. Harajuku is another favourite neighbour amongst many travellers. It’s known for its unique and outrageous fashion and art. You will find some of the leading fashionistas in this neighbourhood! Tell me below which places to visit in Japan you would love to see! Thanks for including me in this great post. I lived in Kobe for three years and loved every second of it!